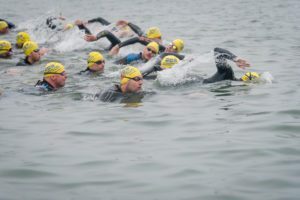 Following an action-packed Super League Triathlon season, the 2019 qualification period is well underway. Last month, Bali hosted the first qualifier, and with the impending second Qualifier in Poznan, Poland in June, the scene has been set for Ottawa to host the third and final qualifier event on August 3-4. It will be the last chance for the professionals to fight for the final golden tickets to the Championship series. The qualifier events are the best opportunities for up-and-coming athletes to have their shot on the world stage. Last year, Tyler Mislawchuk earned his golden ticket in Poznan, Poland, and then finished the Championship series fourth overall and took third place in the series finale. The age group athletes will be able to choose between the Sprint or the Enduro formats, and they can take part as an individual, team or relay. Super League Ottawa isn’t just for the triathletes. Those not wanting to bike or swim can join in the action in the 10k, 5k and 2.5k Fun Runs on Saturday.